As the service sector expands into the global economy, a new science of service is emerging, one that is dedicated to encouraging service innovation by applying scientific understanding, engineering discipline, and management practice to designing, improving, and scaling service systems. 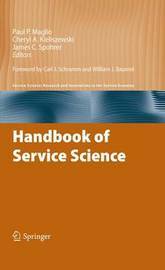 Handbook of Service Science takes the first major steps to clarifying the definition, role, and future of this nascent field. Incorporating work by scholars from across the spectrum of service research, the volume presents multidisciplinary perspectives on the nature and theory of service, on current research and practice in design, operations, delivery, and innovation of service, and on future opportunities and potential of service research. 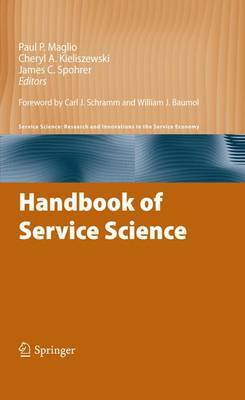 Handbook of Service Science provides a comprehensive reference suitable for a wide-reaching audience including researchers, practitioners, managers, and students who aspire to learn about or to create a deeper scientific foundation for service design and engineering, service experience and marketing, and service management and innovation.